We ran through the seven mainstream iPad alternatives a few weeks ago. They include the usual suspects: the ModBook, Notion Ink Adam, HP Slate and Dell Streak along with a few others. But there are more portables either currently available or coming out real soon that could also have made that list. Consider the following seven computers alternatives to the standard iPad alternatives. 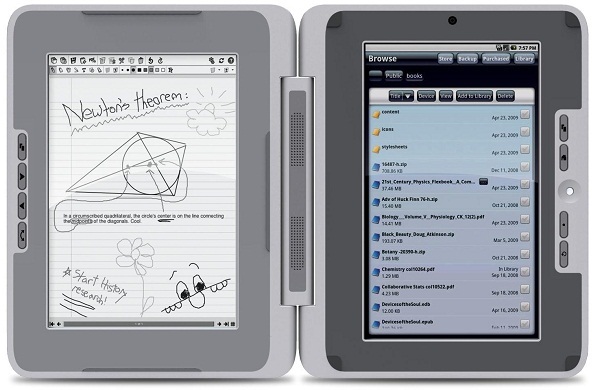 While the Alex is really an ereader first, it’s still capable of a lot more with Android running on a 3.5-inch color LCD under the 6-inch e-ink display. Since it’s Android, everything works as it should so it can browse the web, send emails, and access the Android Marketplace via Wi-Fi or 3G. But the real magic is that the two screens can be linked so that content on the small screen can be pushed up for easier viewing on the large screen. It also handles book navigation and selection. Think of it as a suped-up Nook and instead of B&N, there’s a partnership with Borders but any ebook standard will work. Available in either black or white at $399 and the company is taking pre-orders right now with an expected shipping date of April 14. One look at this thing and you can tell it’s something different. Two screens, combined with a hinge that also holds a speaker. It’s really not just an ereader with an Android netbook bolted on, either. It’s so much more and truly shows what the future of computer could hold for everyday joes, but more so for academia. Oh, and unlike the similar Microsoft Courier concept, this thing is real and available for $499 right now. Read our review here. 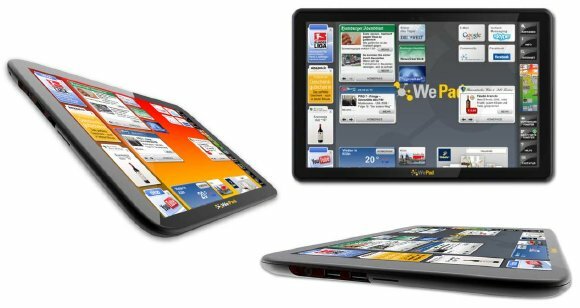 The WePad may be the most complete alternative to the iPad with Linux at the core and access to the Android Marketplace. It’s reportedly going to be less expensive, as well, when it first hits German retailers in the coming months. 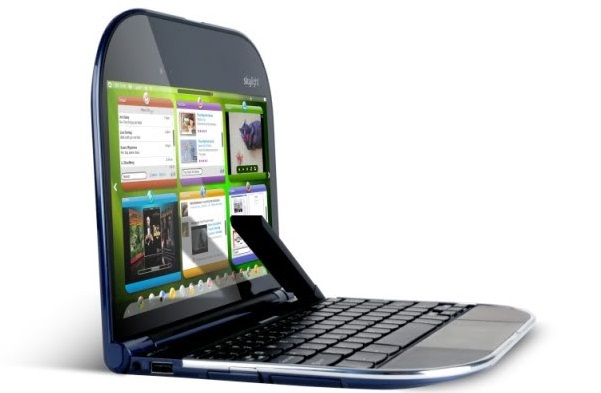 Yes, it’s a netbook but give the Skylight a chance before scrolling down to the next iPad alternative. 10 hour battery life, 2 lbs weight, and a bright 10-inch screen are pretty standard noondays. But then throw in a 3G wireless into a thin and sleek package powered by a custom web interface and you have one tasty treat. It’s a tablet! No, it’s a netbook! No, it’s both! 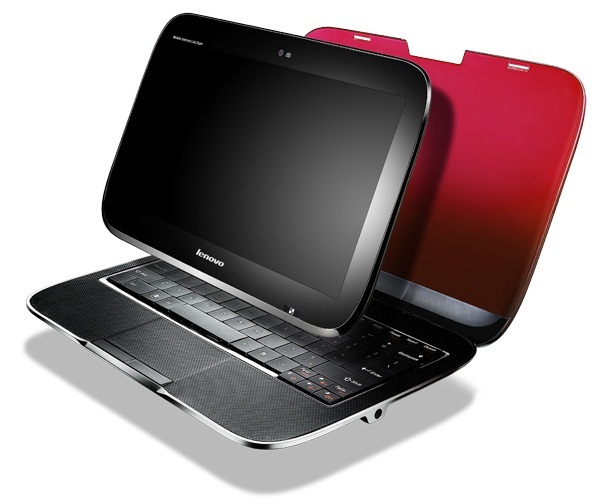 An Intel CULV processor handles Windows 7 while in netbook mode and an ARM CPU takes care of the Skylight OS when the tablet is all by itself. It packs 3G, 128GB SSD all in a design that’s truly the best of both worlds. The U1 Hybrid slated for a summer 2010 release. See it in action here. It looks like an iPad, costs the same as an iPad, has similar tech specs as the iPad, but it isn’t made by Apple. The ExoPC might be the absolute best iPad alternative for Apple haters as long as they feel comfortable owning an obvious iPad clone. 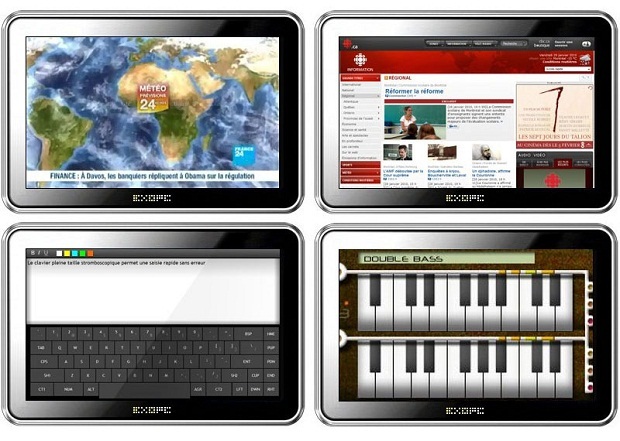 The ExoPC is supposed to be released sometime this spring. 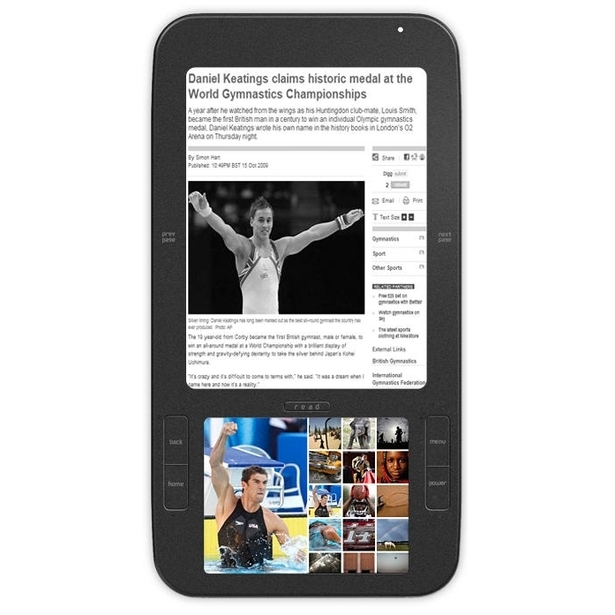 And finally, your smartphone should really be considered an iPad alternative. Think about what the iPad can do and then compare it against your current phone. It could be a Palm Pre, Droid, HD2, or even iPhone. You can surf the web on these phones, edit photos, read sheet music, play electronic instruments, read comics, watch TV shows, play racing games and the list goes on and on and on. Sure, the iPad has that massive screen to further exploit those apps, but most of the functions are the same.